Mayor Rahm Emanuel announced reforms that will streamline the administration of early learning programs and invest the savings in extending full-day prekindergarten to approximately 1,000 additional children by the 2017-18 school year, ensuring that over 17,000 children – a 60 percent increase from 2011 – will now have access to full-day preschool programs demonstrated to improve child outcomes. Additionally, the Emanuel administration will develop a new and improved universal enrollment system to improve access to early childhood programming available under the Chicago Public Schools (CPS) and the Department of Family and Support Services (DFSS) for parents citywide. Following the recommendations of the Mayor’s Second Term Priorities Committee, the Emanuel administration will streamline the oversight of early learning programs by consolidating the oversight of community-based programs into DFSS. 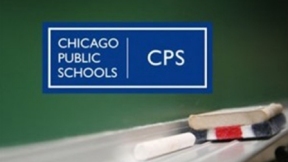 This reform – along with other administrative cuts and restructuring at CPS – will allow more dollars to be invested into the classrooms, offering full-day prekindergarten to approximately 1,000 additional children by the 2017-18 school year. This transition is expected to save more than $6 million by eliminating redundancies that exist because the two agencies are administering similar programs. These savings will support extending full-day pre-kindergarten to a total of approximately 1,000 additional children by the 2017-18 school year.